"Somebody told me about You a couple weeks ago!! I was out to dinner with a couple and they mentioned they had a great social media guy. I kinda made a face (because I am happy with you) and they tried to further encourage me. They proceeded to say the guy was very good and he was in Newtown and they would love to share his contact info with me. I said, "Michael?". They said, "Guerin?". The three of us went on to rave about you!" "You will not be disappointed. It is the best investment you’ll make and you will definitely see a return on that investment. Michael is reliable, easy to get in contact with and always returns your call or picks up the phone – which is a super plus in my book. And he knows what he's talking about (he is not an amateur just trying to take your money). Everything was handled professionally with great communication. Really, all of it was a great great experience." "If you want to update, upgrade, or recreate your website, Michael is an amazing one stop solution. He can do it all... and he'll do it quickly and efficiently. Great service!" "Michael, I cannot tell you how much of a breath of fresh air it is to see you have done all this. Interesting enough, the changes you made on my EFT page already got me a new client. Another newly booked client told me they did a search on CT Hypnotist. Bottom line, what you are doing is working. Thank you!" "Thank you Michael. You were very helpful, and with minor input from me you were able to create my website where it looked professional. My website looks amazing and your price fit my budget." "The changes to the site look great, thanks! You've been very easy to work with and very insightful thus far. Thanks for all your help." "The website looks GREAT. EXCELLENT. SUPERB. Good job buddy. Thank you so much!" "You are an absolute pleasure to work with and I am so glad you were recommended to me! You really listen! You manage to make the most complicated processes seem easy." "Michael I really appreciate all your help! I'm feeling more confident as I get closer to the training date because of your work. By far the best money I’ve spent on my business. Thanks again!" "Mike I’m proud of you. You did a great job on AZprocoat.com. At first I didn’t think you could pull it off. But there it is. Wow, great job!" "Michael Guerin is the best!" "The level of communication is excellent. Michael was very responsive and helpful, especially considering that I was technologically functional but needed assistance with the details of how it all works. 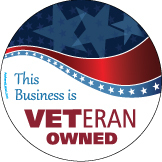 The cost of his service was very reasonable and affordable for a new business owner."